I found this Wyoming Jade from one of my previous walks in the mountain. I cut and polished both sides to perfection to reveal its natural color before I inlay wrapped it with silver wire. 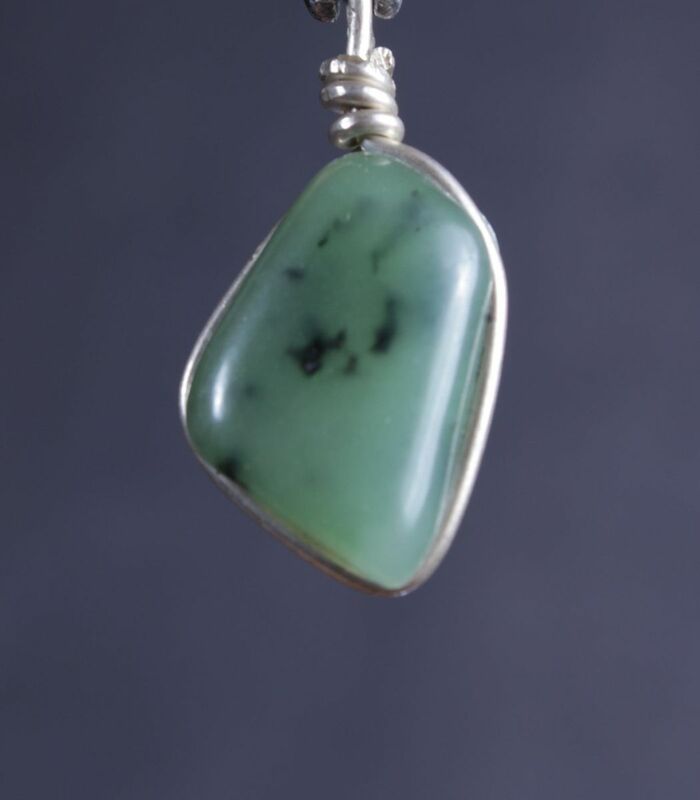 This beautiful 1 1/8-inch long and a half inch wide pendant can be worn with any of our silver necklace pieces.